In July I made a quick trip to Florida to see my step-daughters in Gainesville with the usual stops at Savannah NWR and Harris Neck NWR. I enjoyed seeing dragonflies, bugs, toads, and wildflowers in addition to birds and butterflies. 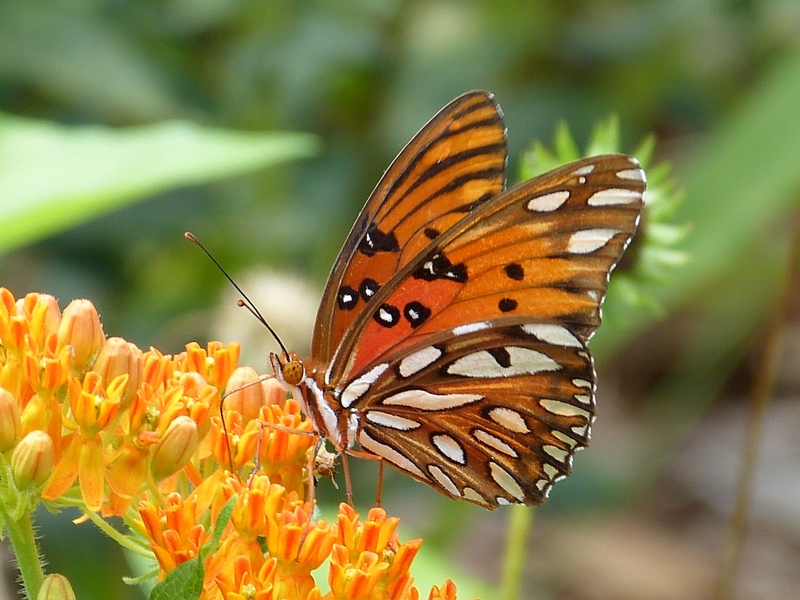 I especially liked the beautiful Gulf Fritillaries. 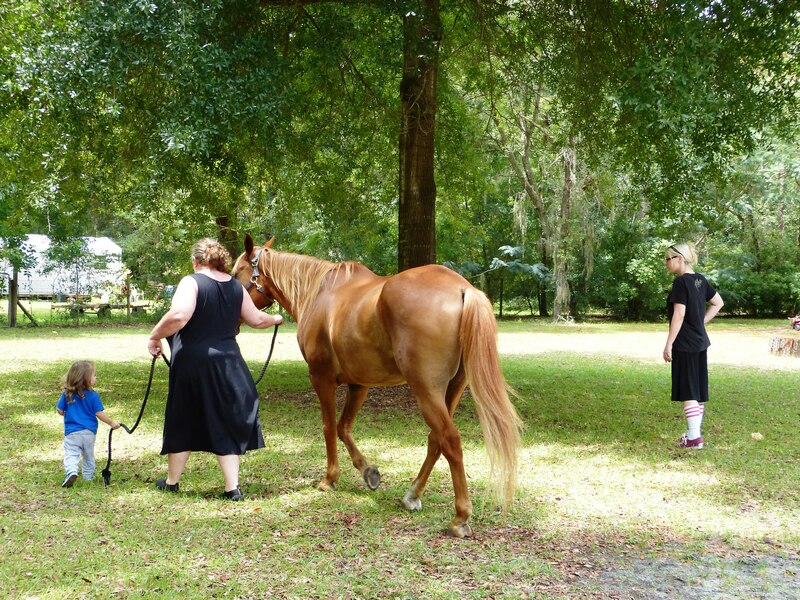 In Gainesville, the animal highlight was Debbie’s new horse, Charlie, who is just as sweet as she said. After a few days with the girls and their families, it was time to head back home. 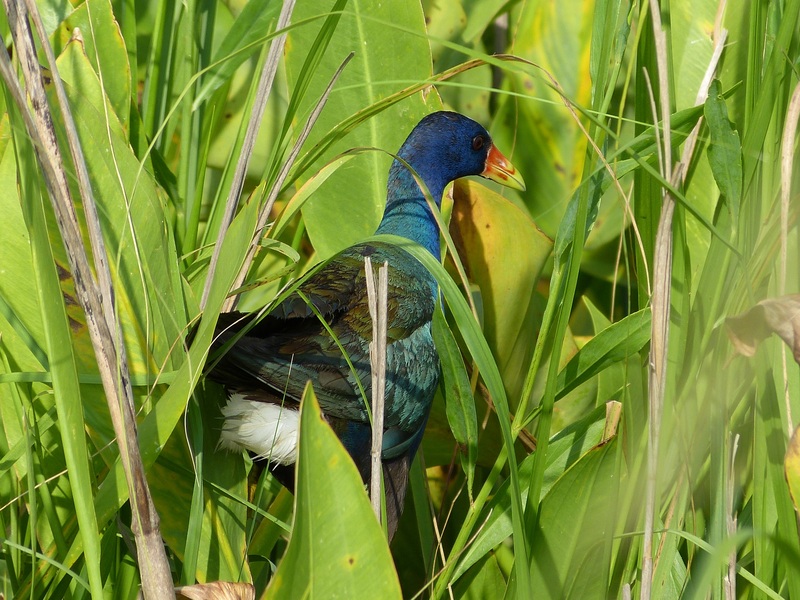 At Savannah NWR, I was able to snap a shot of this Purple Gallinule as it was running away from me. 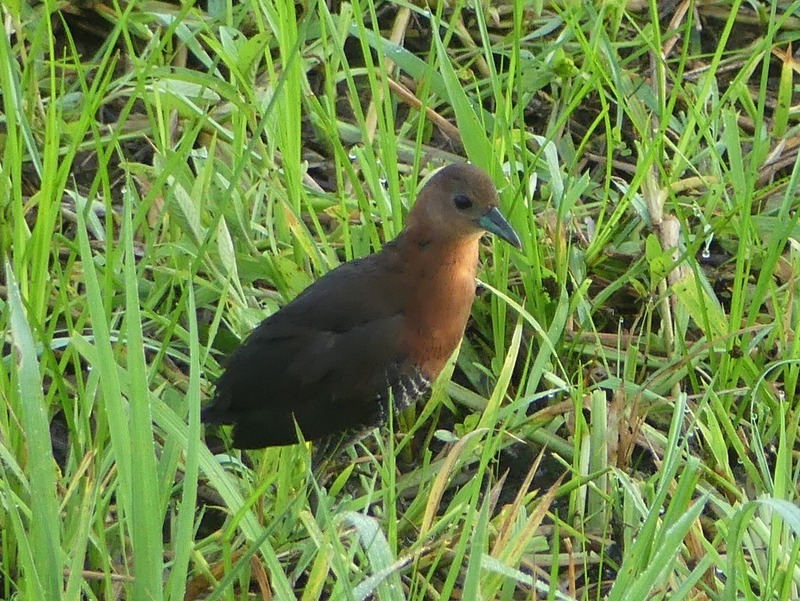 This is one of the birds that I remember from the early 1980’s in South Florida and it’s still one of my favorites. Back home, it was time to leave the deck light on at night again. 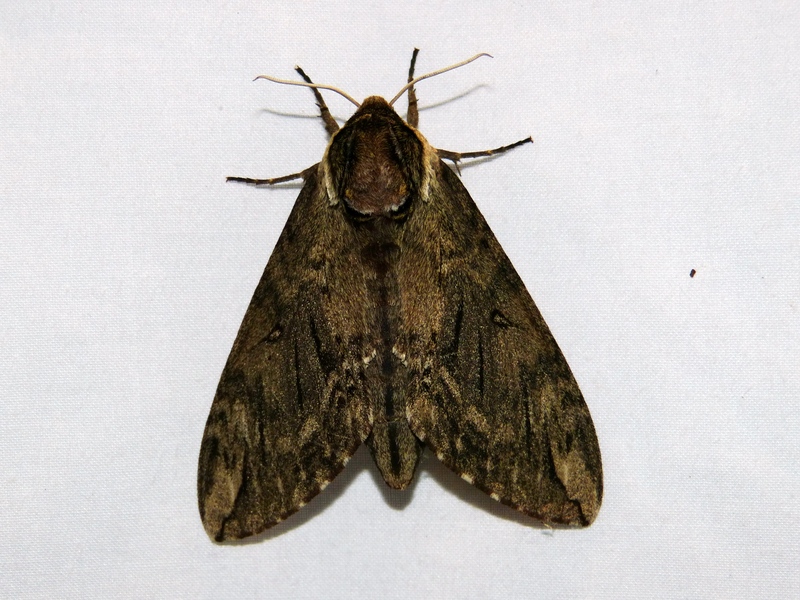 I was quickly rewarded with The Hebrew (moth). I love the simple, elegant black and white pattern. 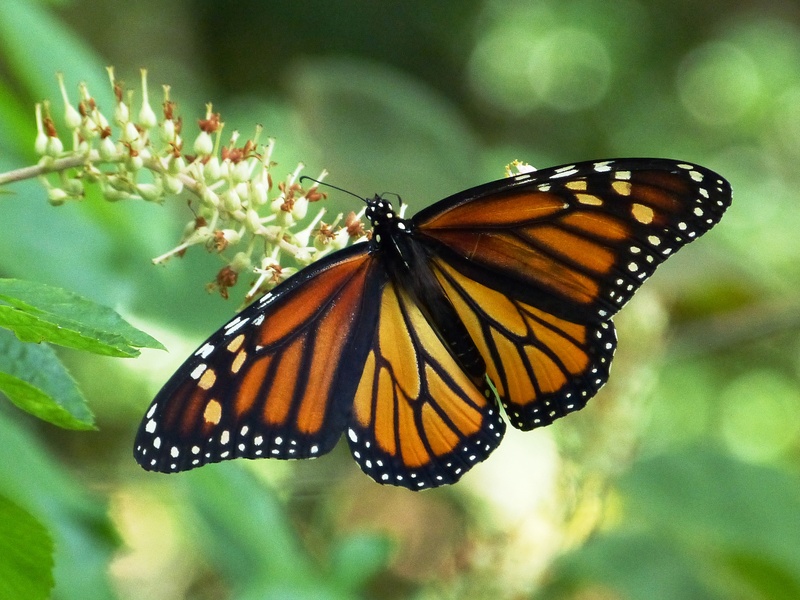 A week later, I saw my first Monarch of the year – in my own yard. 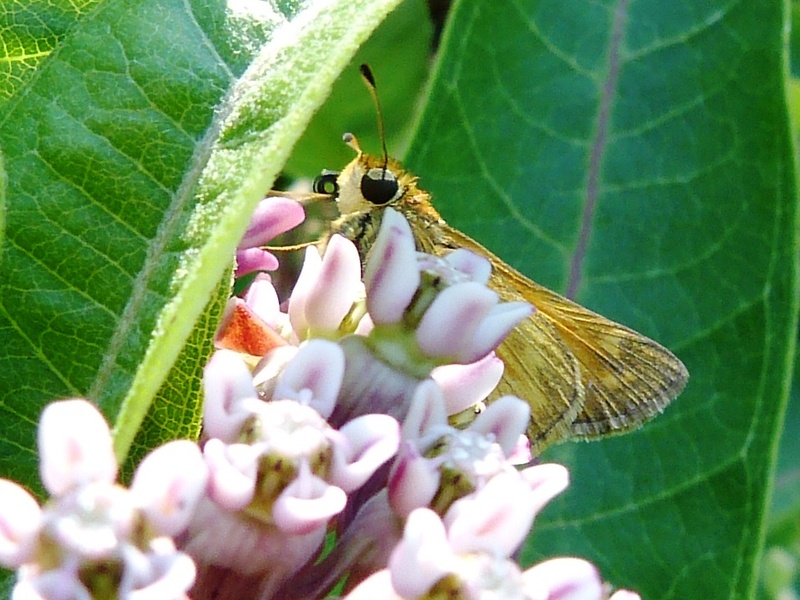 I don’t have milkweed as a host plant (too much shade), so I felt bad that I didn’t have a place for her to lay eggs. I don’t have many flowers for nectaring either, so I was surprised and very happy to see this butterfly, especially during a year in which they have been rather scarce. All things lepidoptera heated up in August. 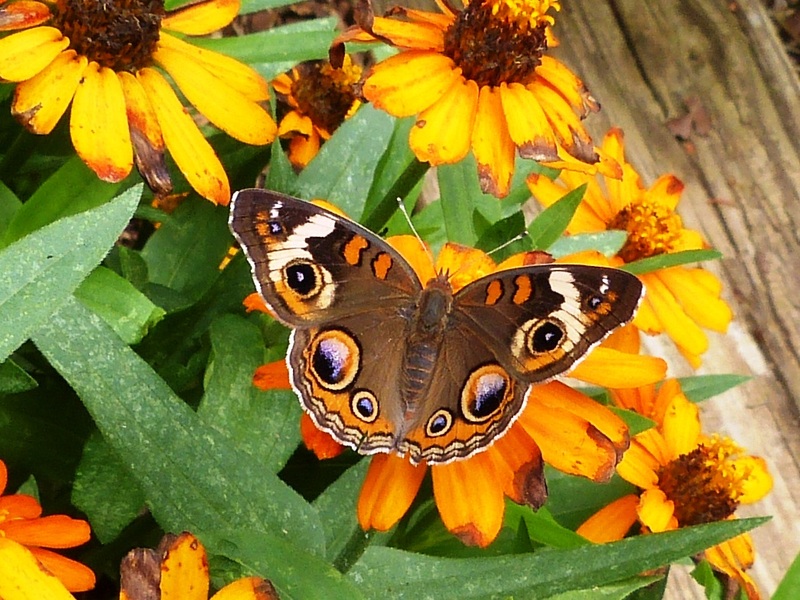 I photographed this Common Buckeye (which really is common) in a friend’s yard. My favorite photo of the summer is probably this Little Glassywing. Gene tries to get me to photograph skippers from the side to get all the field marks, but I love the face shots. August 15 was a very exciting day for moths. 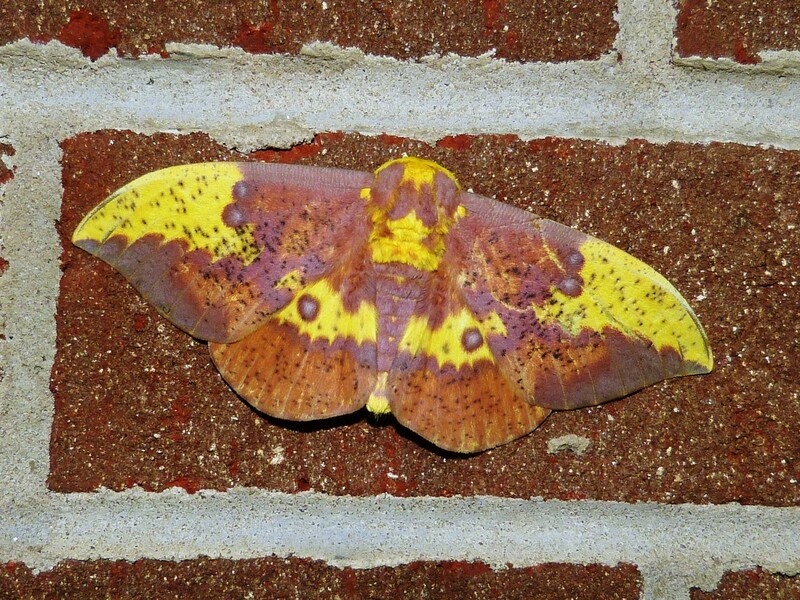 First, I discovered this gorgeous Imperial Moth outside my front door. You can see how big he was – almost as “tall” as a brick and he appeared to be in perfect condition. Later that same day, my friend Cynthia called to say that she was watching a Luna in the weeds at one of our local birding spots. 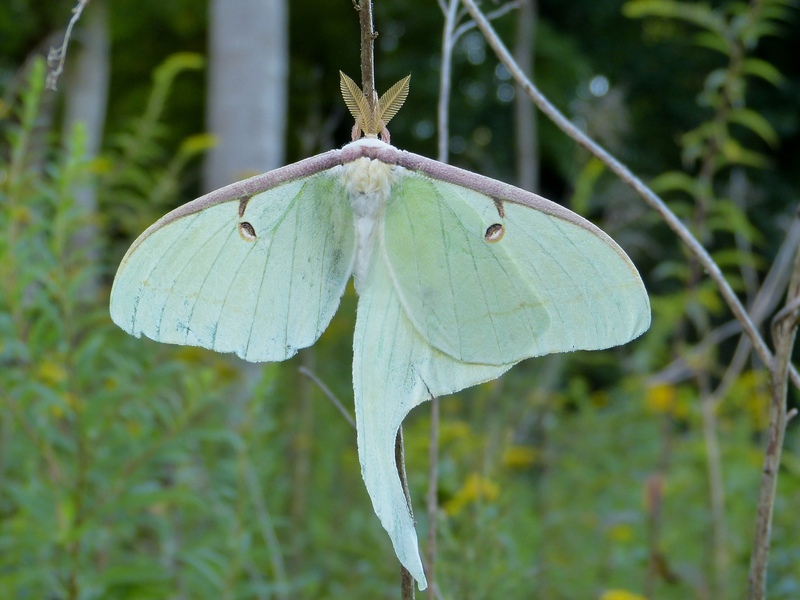 Of course, I ran right over to get my “lifer” Luna Moth. 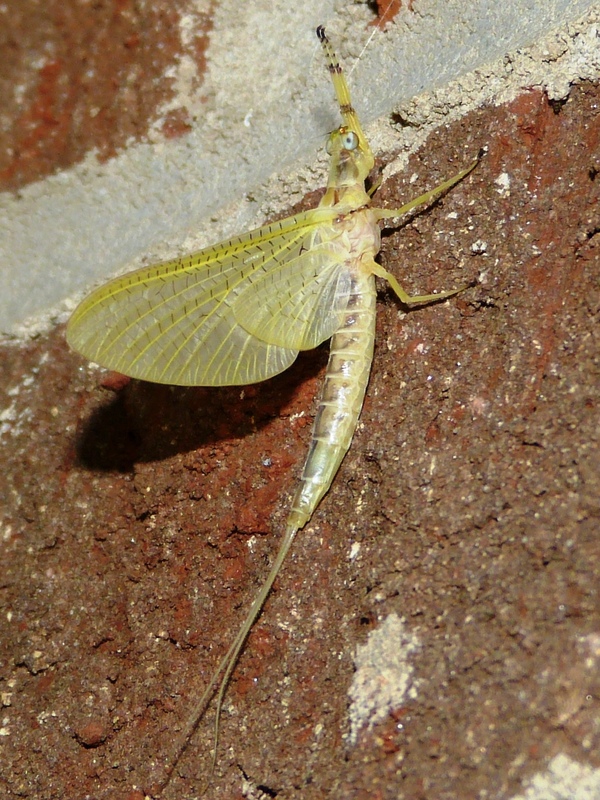 He was missing an entire hindwing, but he was still beautiful to me. The next day, August 16, I participated in the Iredell County NABA count in Statesville, NC, led by Gene Schepker. 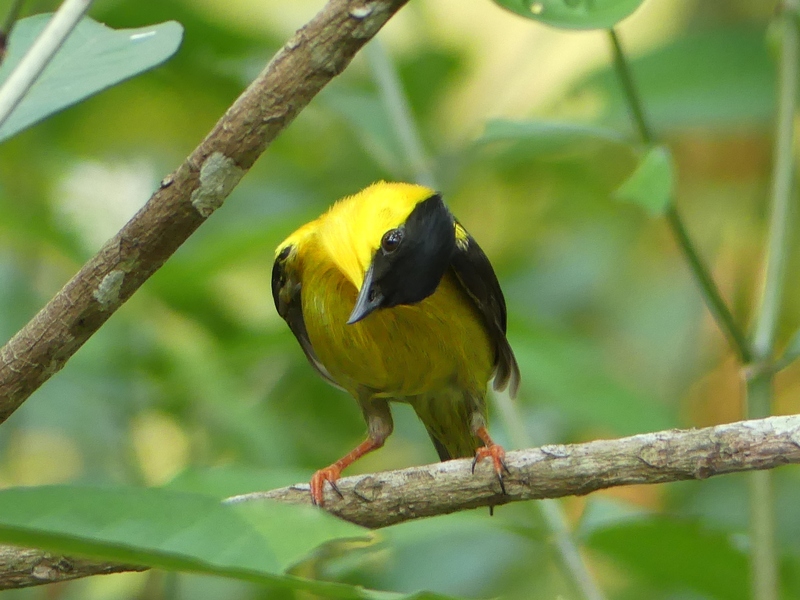 We were at Allison Woods when Gene spotted a Harvester. Before anyone else could see the butterfly, a truck came driving up the gravel road. Gene’s immediate response was, “I’m going to stop those guys.” I have no idea what Gene said, but the truck stopped and three men got out, two of them in National Guard uniforms. In the meantime, the rest of us had lost track of the butterfly. One of the men pointed to a branch on a nearby tree and there it was! They patiently waited 10-15 minutes while we admired and photographed the butterfly. 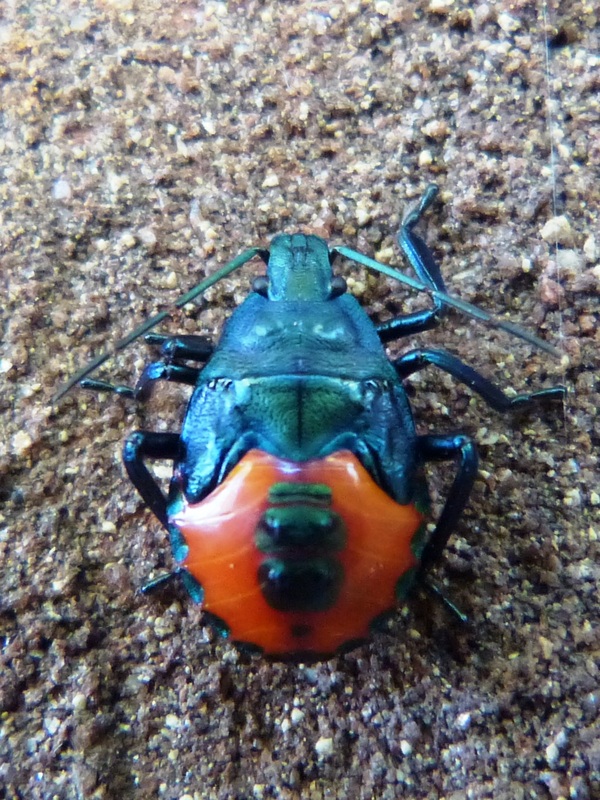 The Harvester flew to the road and began puddling. 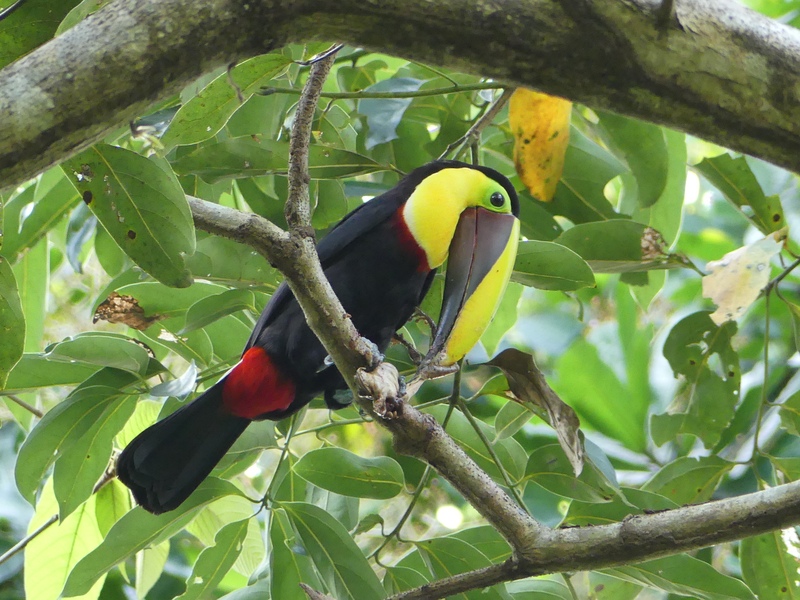 Gene explained that he was collecting nutrients to include with his sperm in a special package (a spermatophore) that he would deliver to the female when they mated. 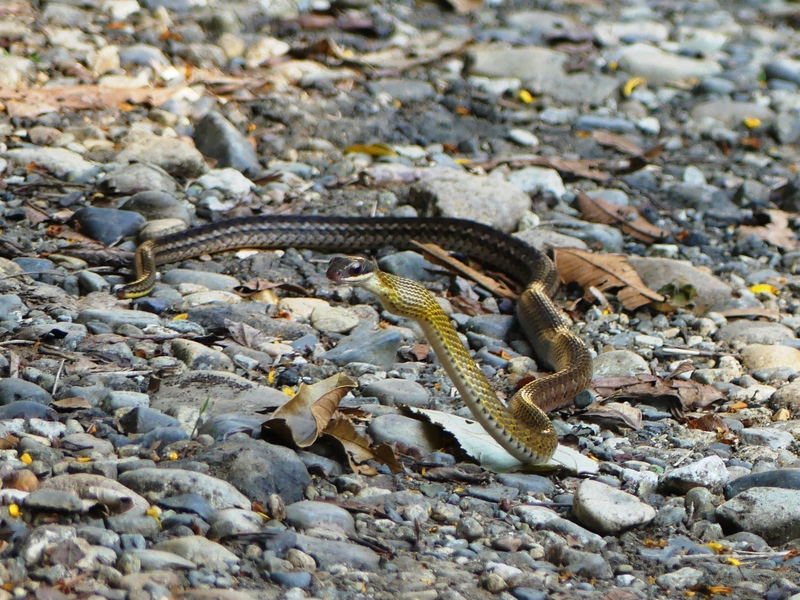 The nutrients in this special “gift” enable the female to produce and lay eggs. Gene also shared the fascinating fact that Harvesters are America’s only carnivorous butterfly (in the caterpillar stage). The only food source for Harvester caterpillars is wooly aphids. 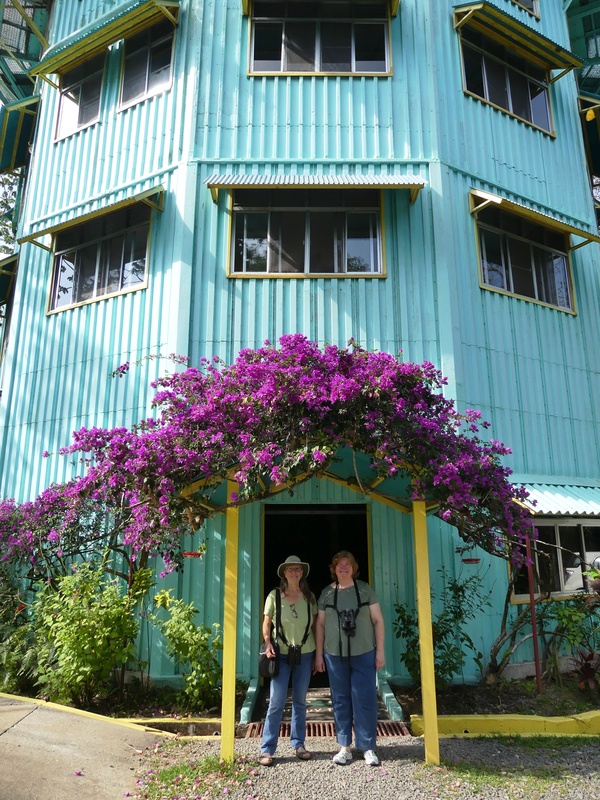 Thus, they grow quickly and have only four instar stages instead of the typical five stages for most butterflies. The men from the truck listened attentively as did the rest of us. This was more education that one usually gets on a butterfly count and it added to the fun of the day. Later in August, Gene joined Cynthia and me to look for butterflies at the little wetland where Cynthia had found the Luna Moth. 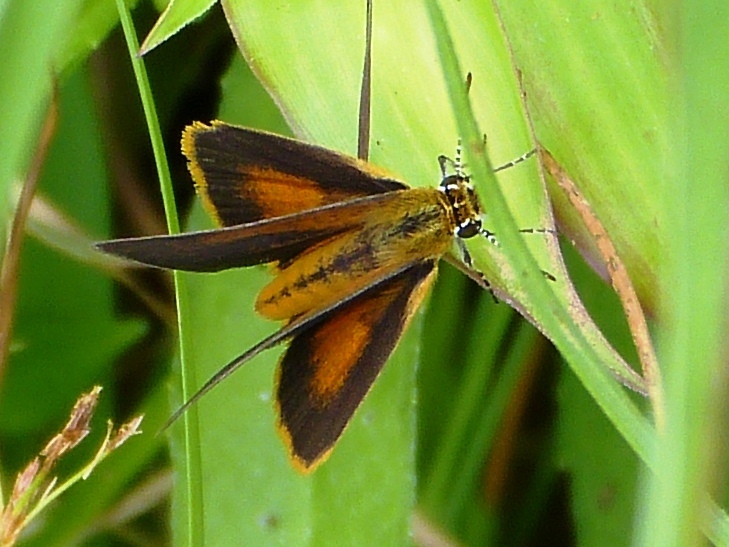 Gene found Least Skippers, a new species for me, in grasses by the water’s edge. They were tiny and liked to hide, so I didn’t get a very good look at them. The next day I went back to try for a photograph, but I couldn’t even find the skippers. Fortunately for me, Cynthia stopped to help when she drove by and saw me. She found the skippers and I was able to get this photo, one of the most challenging of the summer. 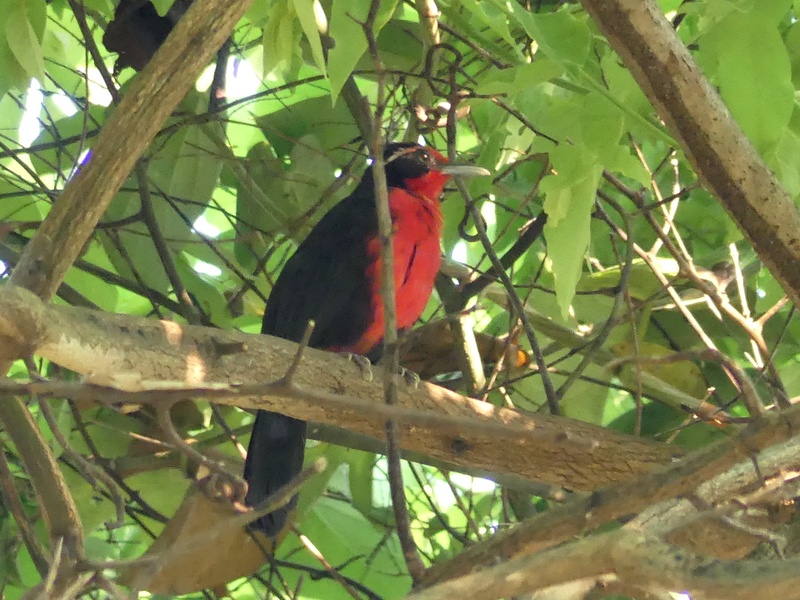 Summer isn’t officially over yet and neither is moth or butterfly season, but it’s fall migration, so birds have priority now. 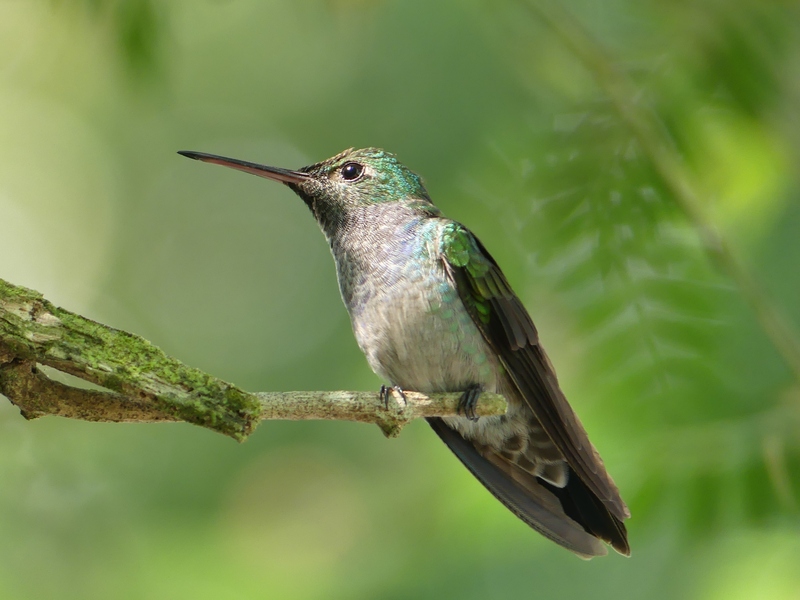 In addition to watching birds near home, a trip to India is coming up soon and a trip to Alaska is in the works for summer 2015. 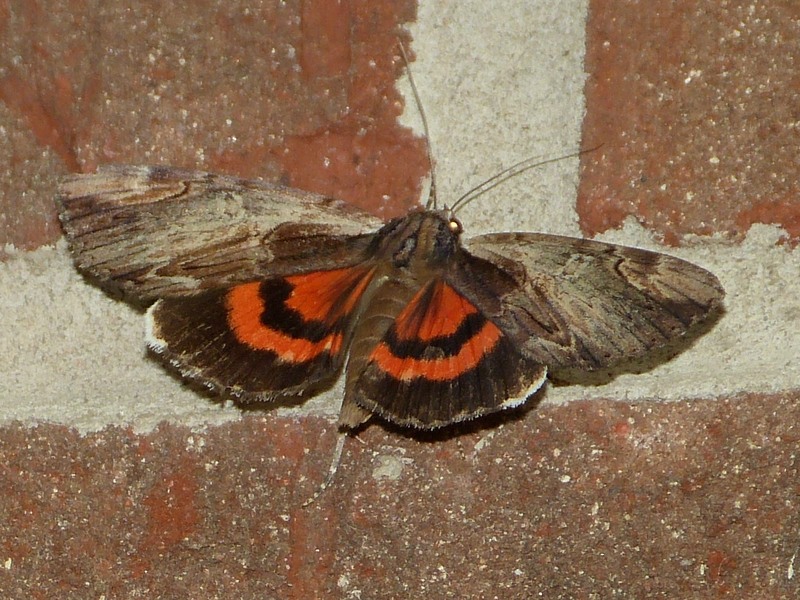 More of my moth photos can be seen on Flickr in the Moths of Forsyth County, NC album. My butterfly photos are in the Butterflies album. 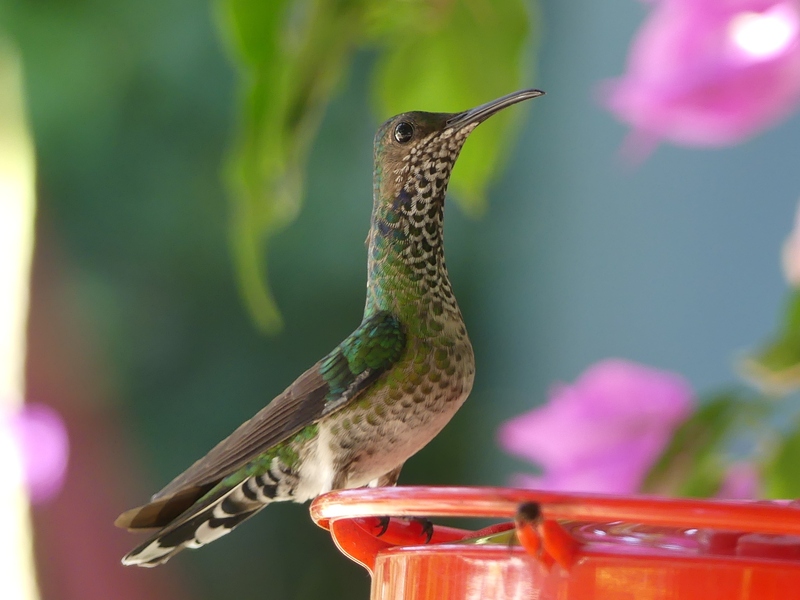 Birding slows down during summer and I always hope to use that time to catch up with chores around the house. It never works out that way, though. Last summer I had major surgery and got hooked on moths during my recovery. 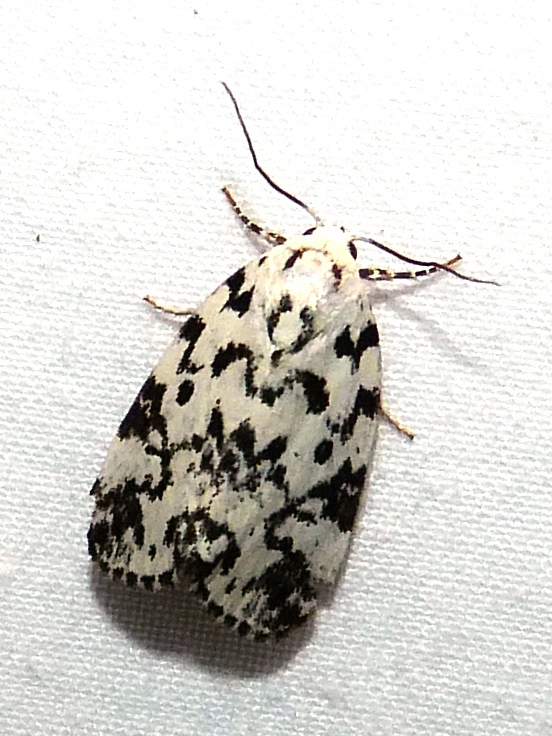 This summer I continued watching moths, but, amazingly, I was able to keep it from becoming a full-blown obsession. My interest in butterflies picked up, however, so between birds, butterflies, and moths, I still managed to neglect my house and chores. 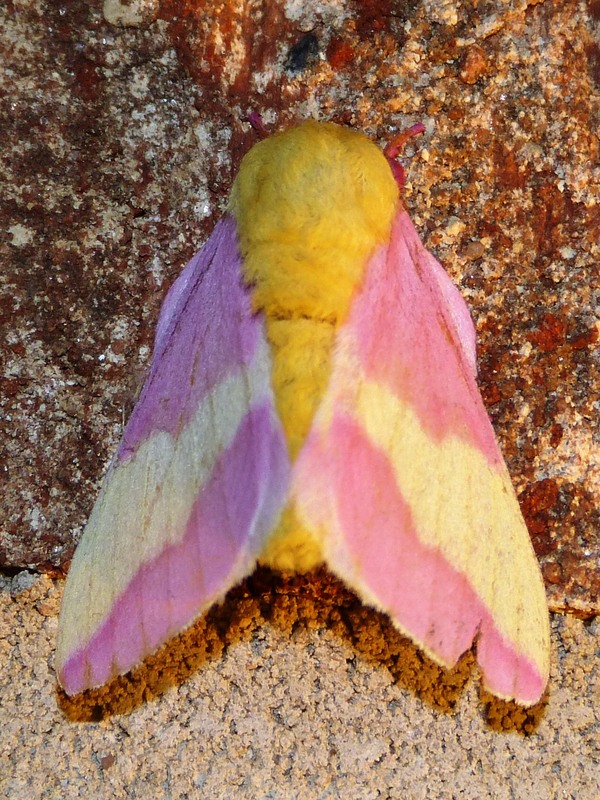 Rosy Maple Moth, Dryocampa rubicunda, a favorite from this summer. Getting an earlier start with moths this year meant that I saw a lot of species that I missed last year when I started in August. 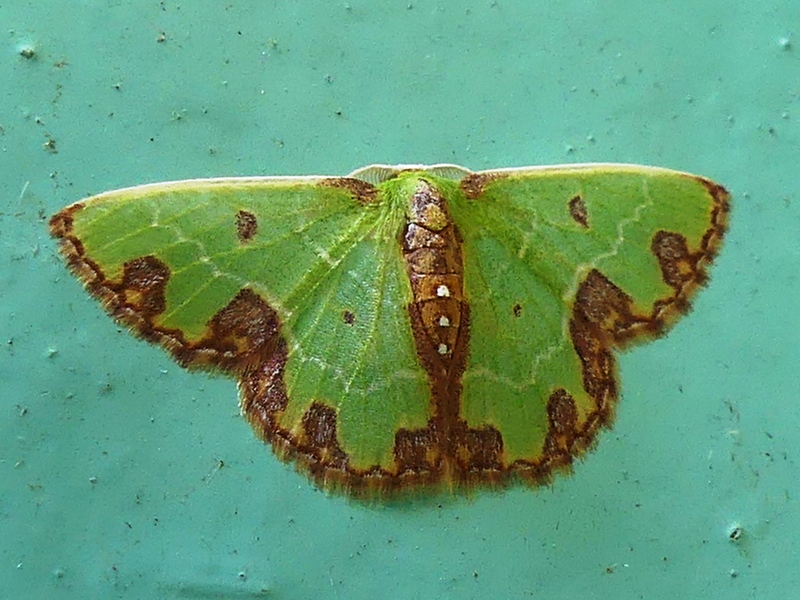 I’ve been fascinated with green moths ever since I found a list of them on BugGuide. 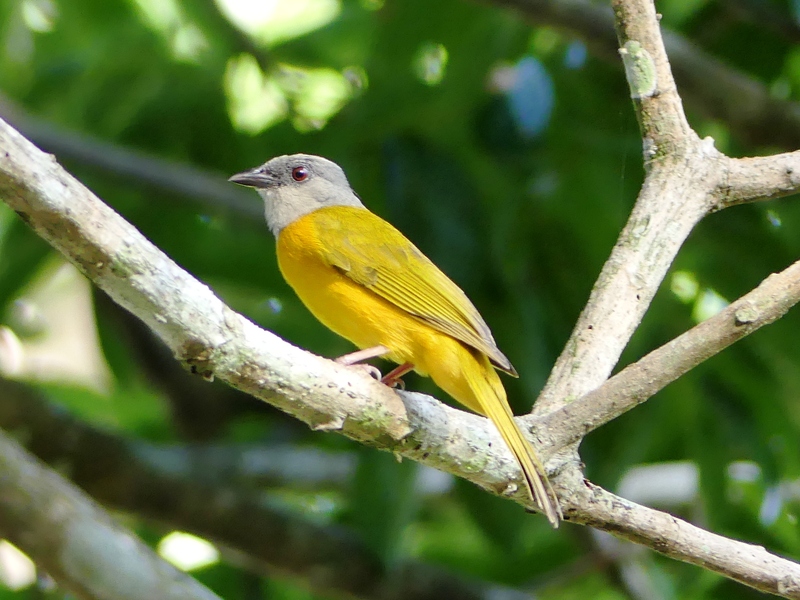 In May I saw a nice one, this Green Leuconycta. If you click on a photo in any of my posts, it will display the full-size image in a new tab or window. 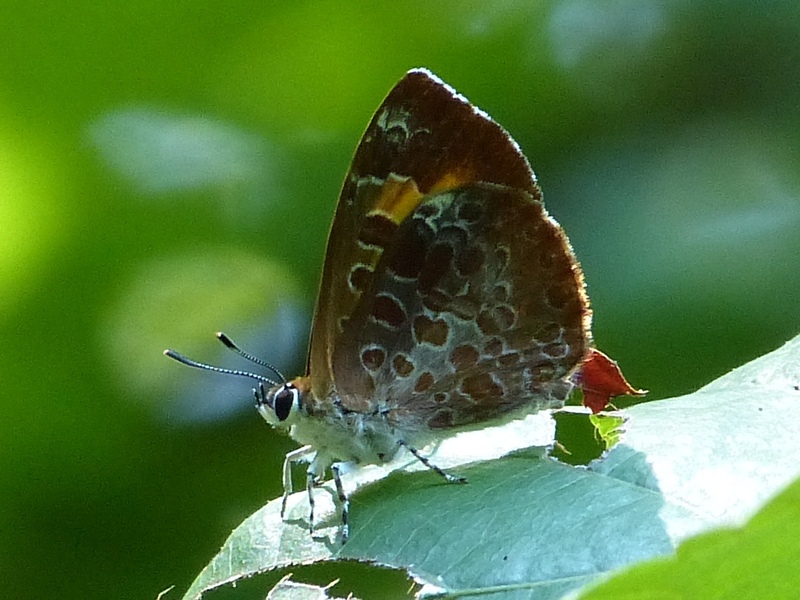 Butterflies started getting my attention when my friend Lois and I surveyed Bethania’s Black Walnut Bottoms for the official NABA (North American Butterfly Association) count on May 31. 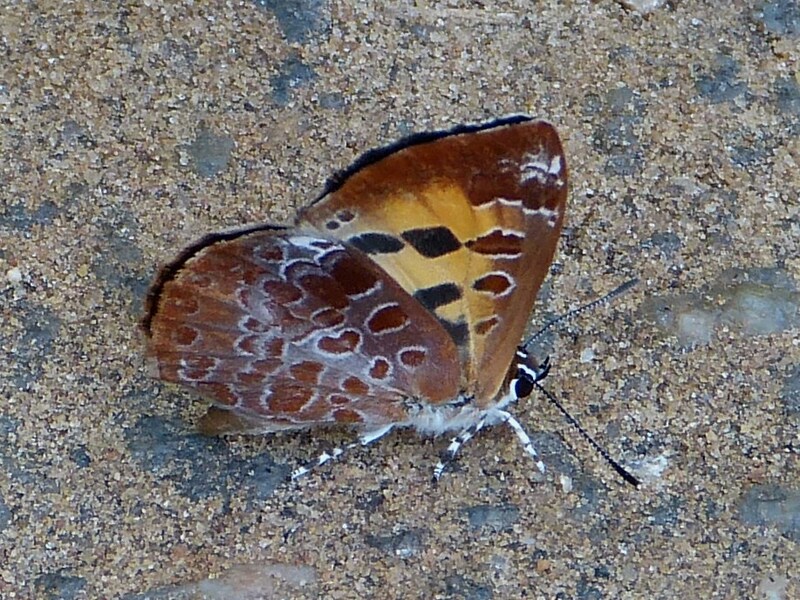 My favorite from that day was this gorgeous gravid female Southern Broken-Dash butterfly. 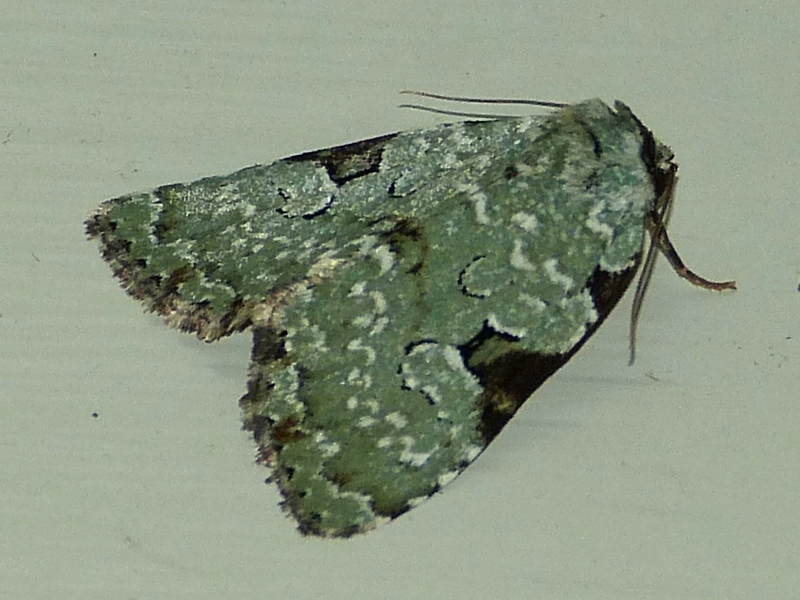 Moths started getting really interesting in June. 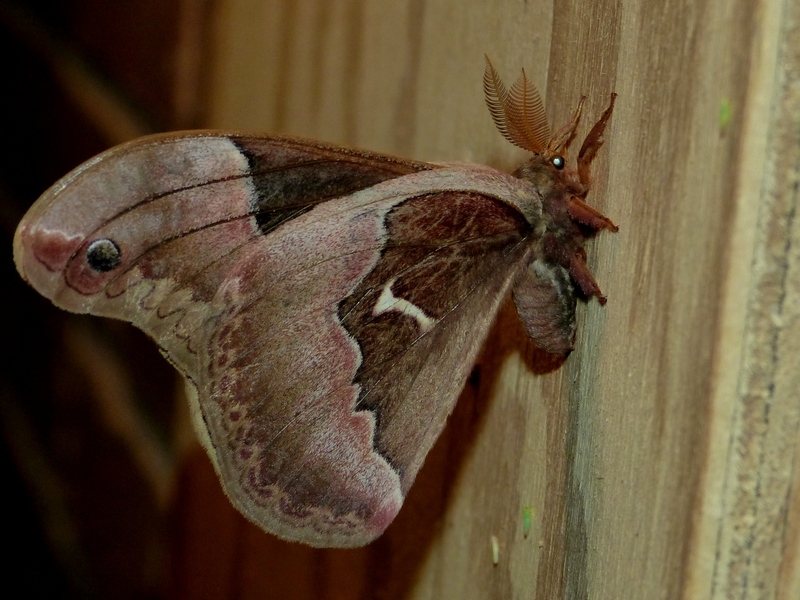 Below is a male Tulip-tree Silkmoth, another of my favorites from this summer. This Catalpa Sphinx may have to have been seen to be appreciated. 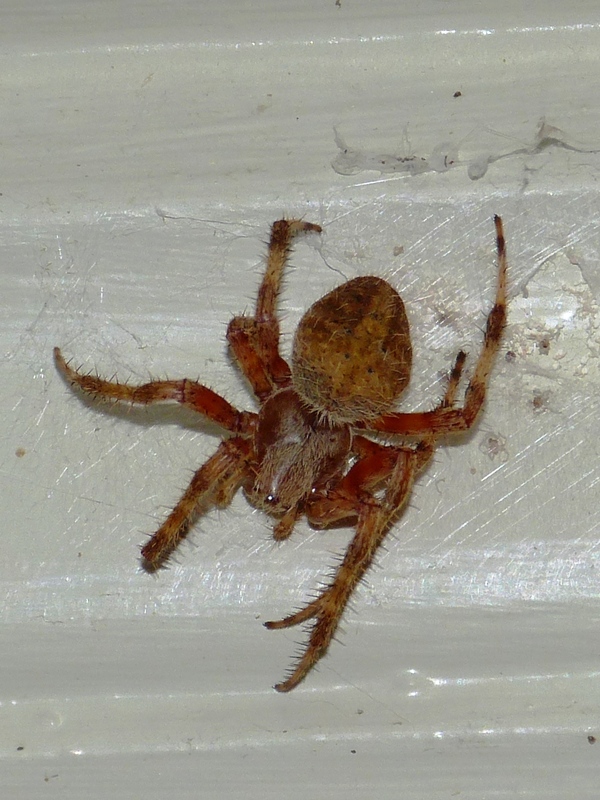 It was huge with a wingspan of nearly four inches. 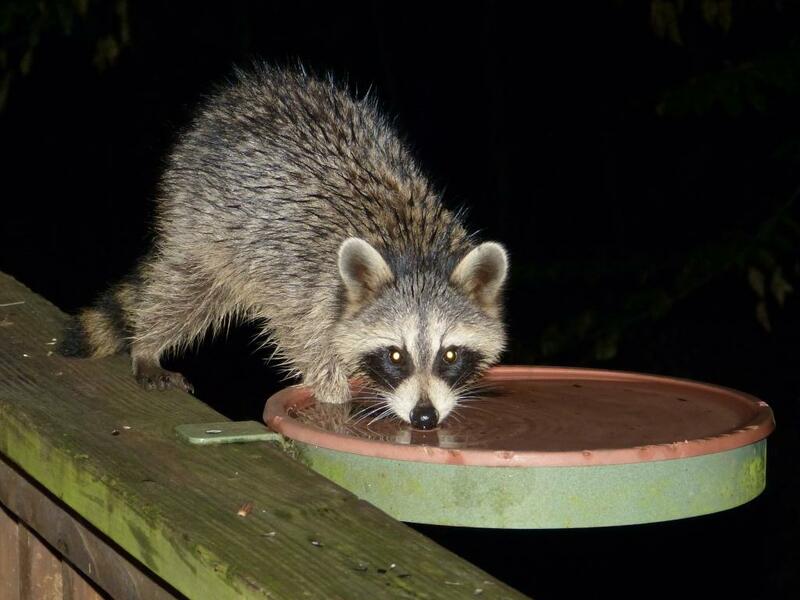 He sure got my attention when he came zooming in to the deck light while I was standing there. 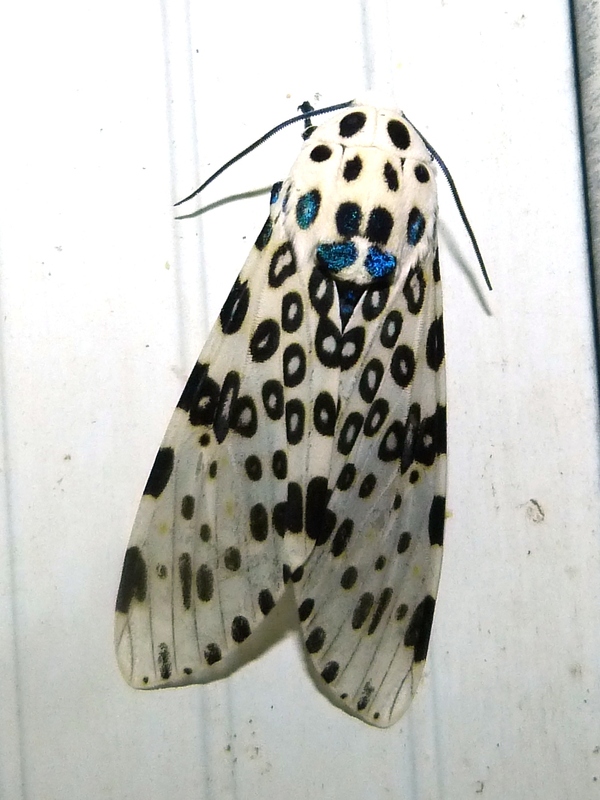 I saw my first Great Leopard Moth on my kitchen window in 2010. 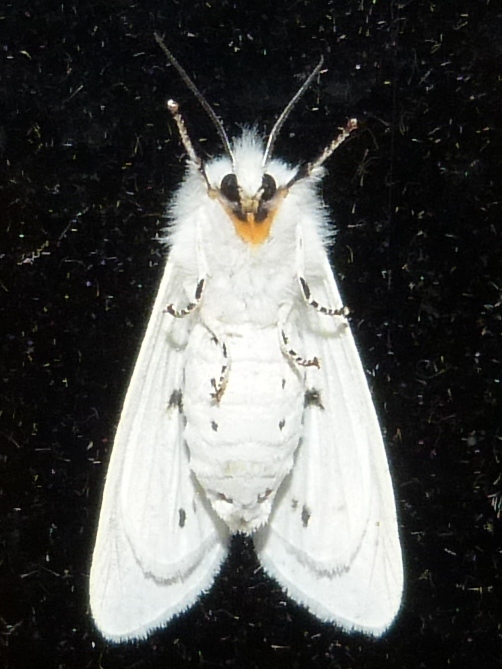 I wasn’t even “moth-ing” then, but it caught my attention as something special. 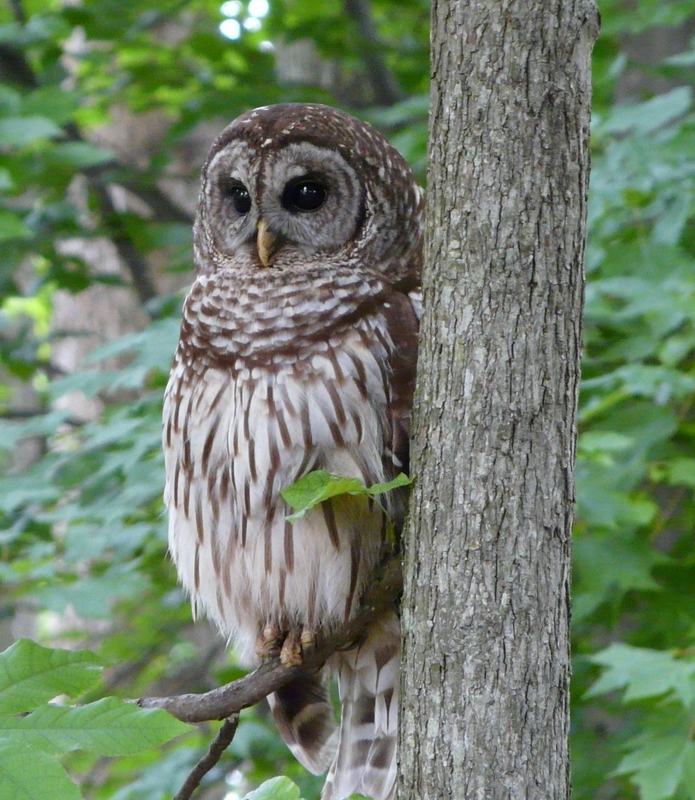 I was thrilled to see one again this summer. It was absolutely gorgeous. 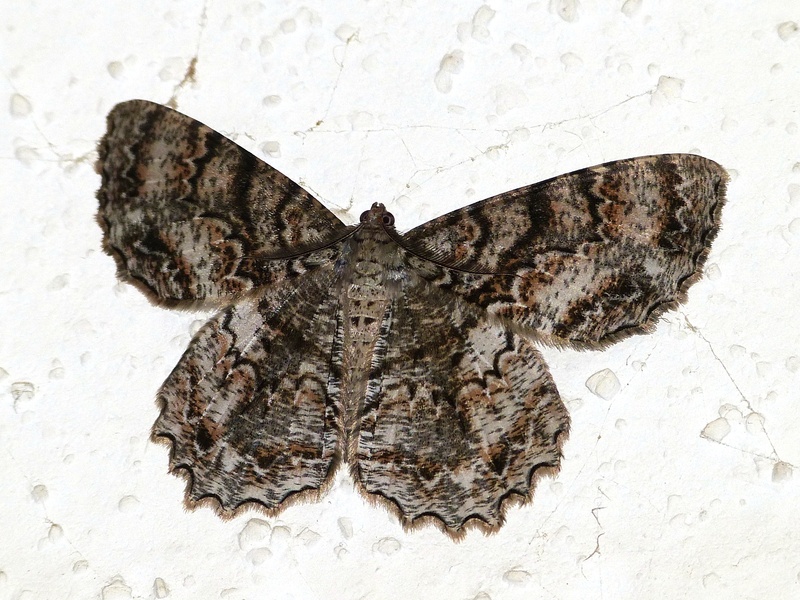 Moths in the genus Catocala are sometimes referred to as “underwing moths” or just “underwings.” The name Catacala is of Greek origin and roughly translates as “beautiful hindwings.” These moths have dull cryptic forewings for camouflage during the day. 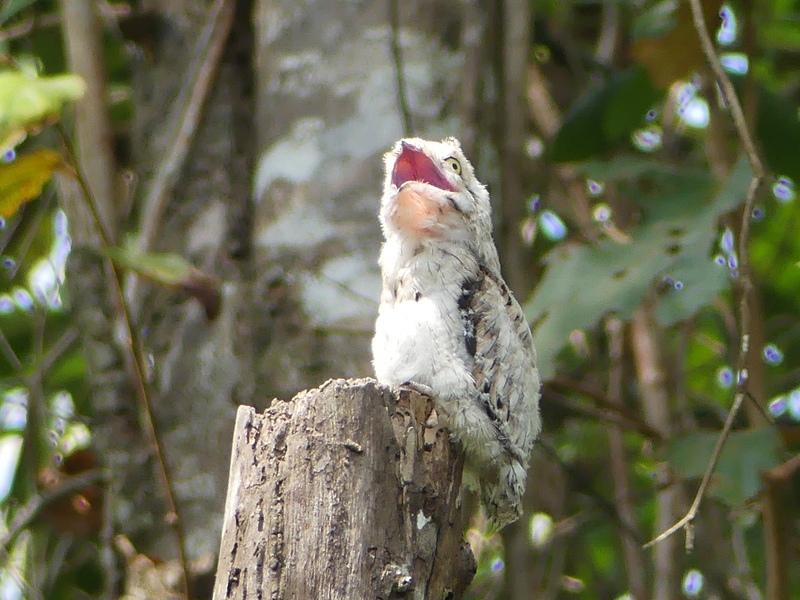 When disturbed, they flash their brightly colored underwings which may resemble eyes and act as a defense. 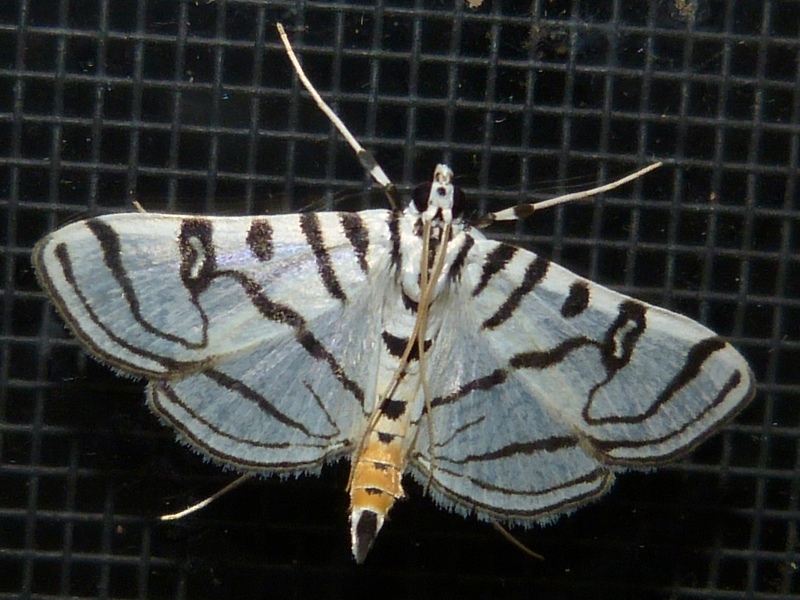 Many moths in this group have common names with a female or marriage theme, so we have The Darling, The Girlfriend, The Bride, The Newlywed, The Widow, and others with similar names. 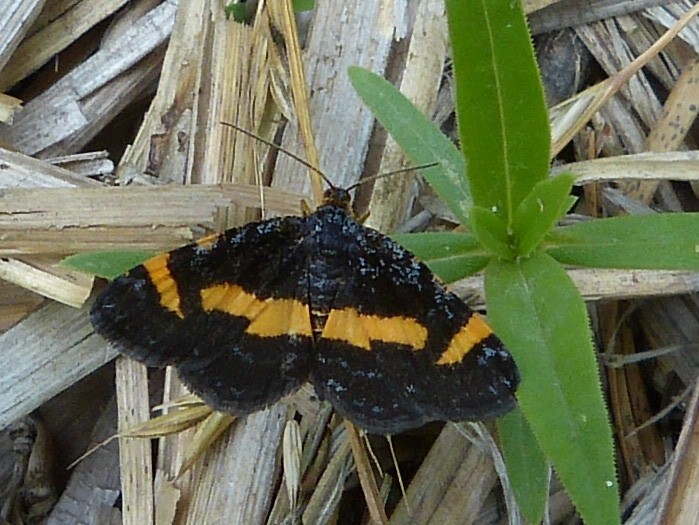 I saw the underwings of only one Catocala this summer, the simply-named Ultronia Underwing. 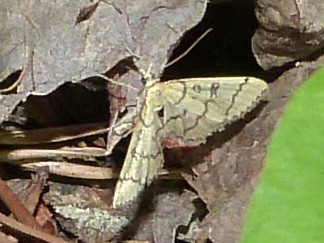 I also found a few moths during bird or butterfly outings. 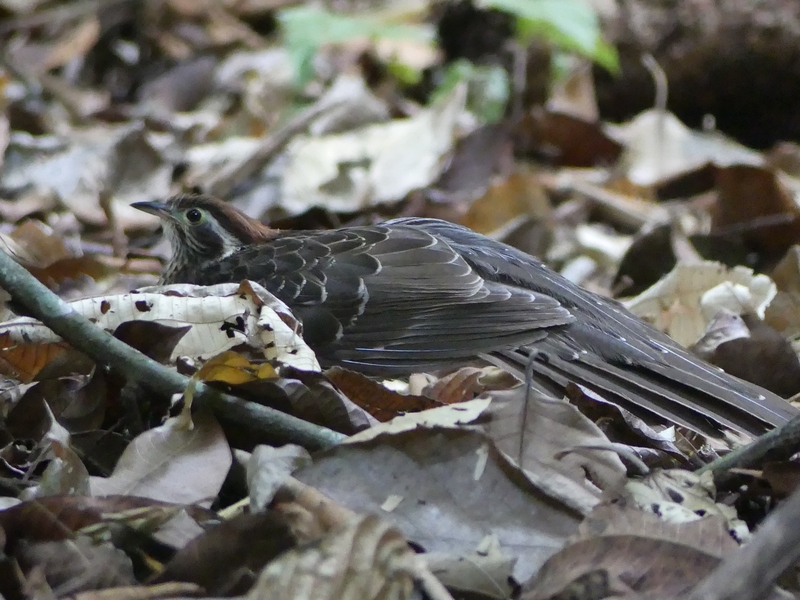 Peter Keller went to Pilot Mountain on the evening of June 15 with hopes of capturing and attaching a geolocator to the last Wood Thrush for the Audubon project and I tagged along. Unfortunately, the attempt was unsuccessful. While waiting alone in the woods while the others went to take down the mist nets as darkness fell, I attracted this little moth with only the light from my flashlight. 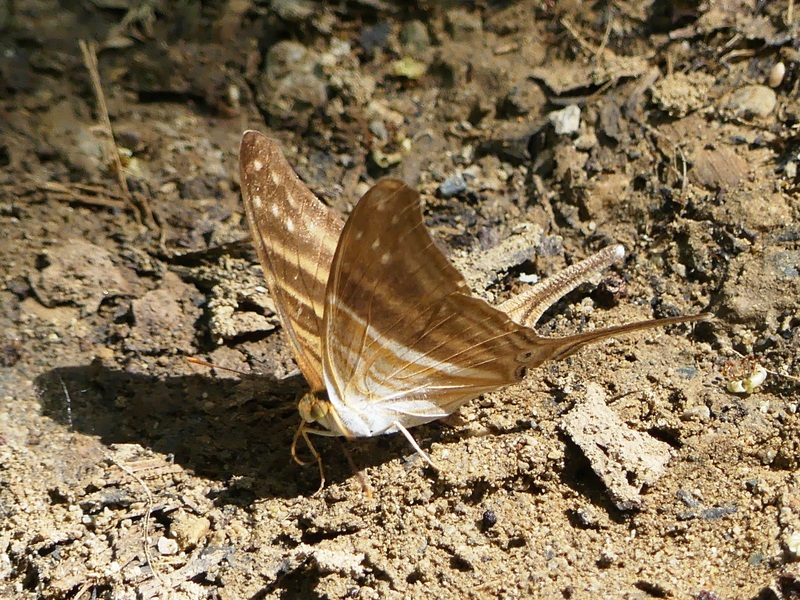 A week later, I was back at Pilot Mountain, this time with Gene Schepker on a butterfly walk. 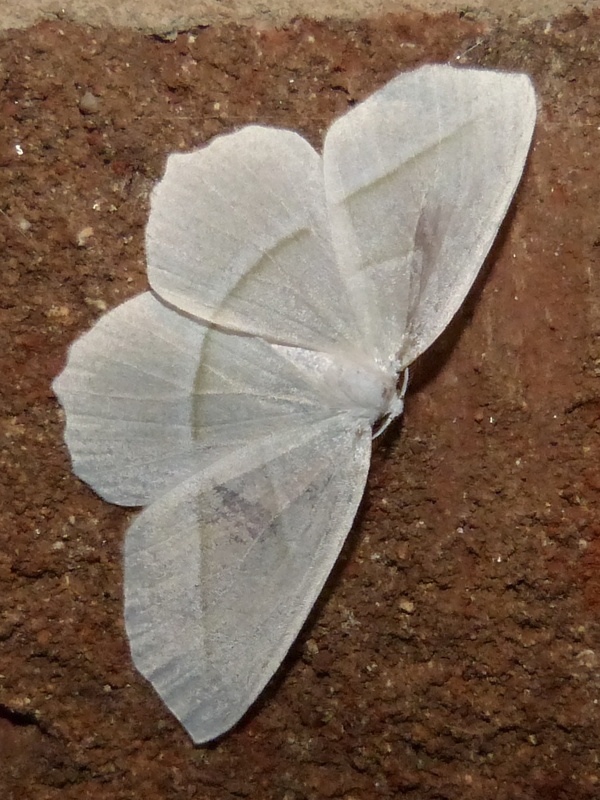 The surprise for the day was this lovely little Rare Spring Moth. 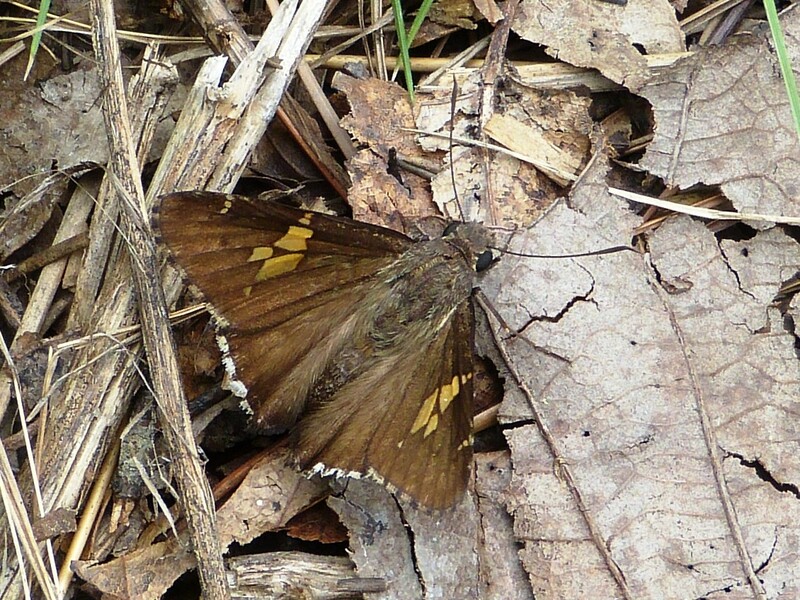 And here’s a butterfly that we found on that Pilot Mountain butterfly walk, a Hoary Edge (skipper). 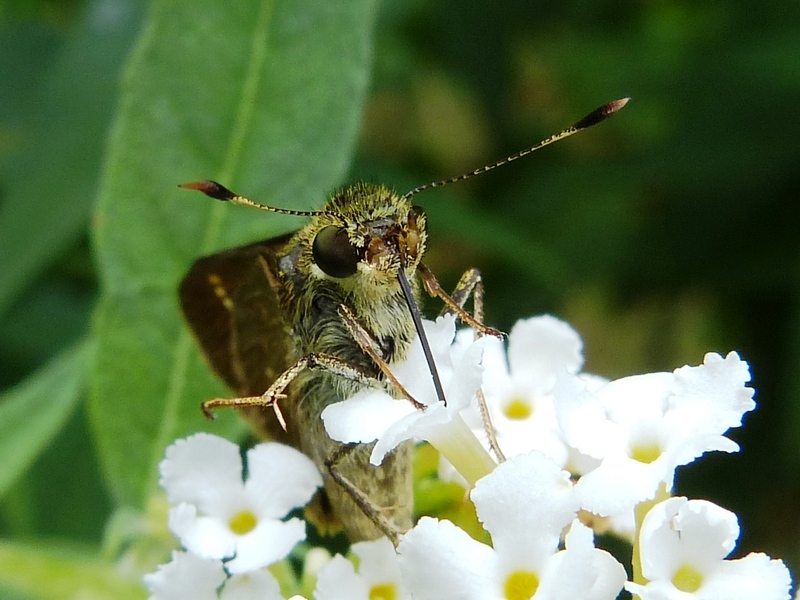 I photographed this Sachem (another skipper) on the last day of June and inadvertently caught it with its proboscis all neatly rolled up, which I found fascinating. But, you already know that it doesn’t take much to entertain me. 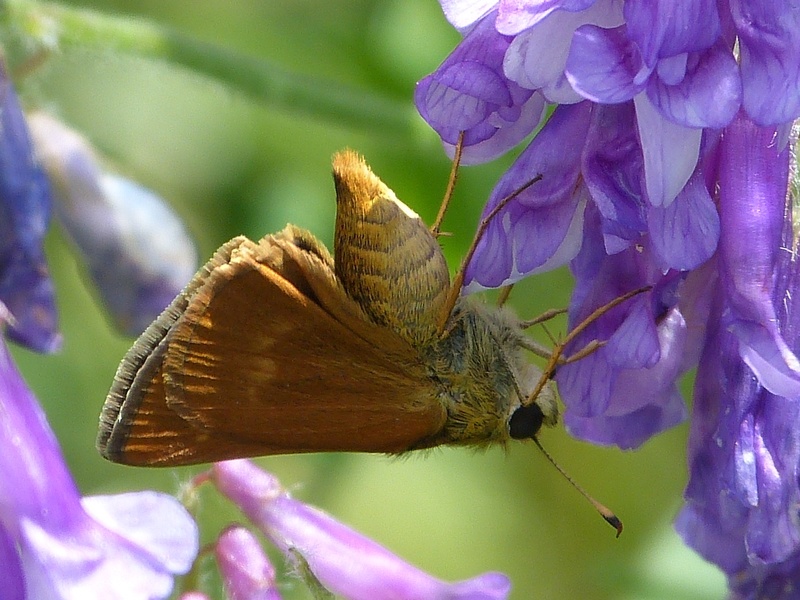 So, that’s a very brief summary of my moth and butterfly adventures through June. Even after severe culling, I couldn’t limit the photos enough for only one post. Stay tuned for part 2 of The Summer of the Lepidoptera.